Diarrhea,Infectious diarrhea, Travelers diarrhea, Lactose intolerance, Antibiotic associated diarrhea, Vaginal infection. 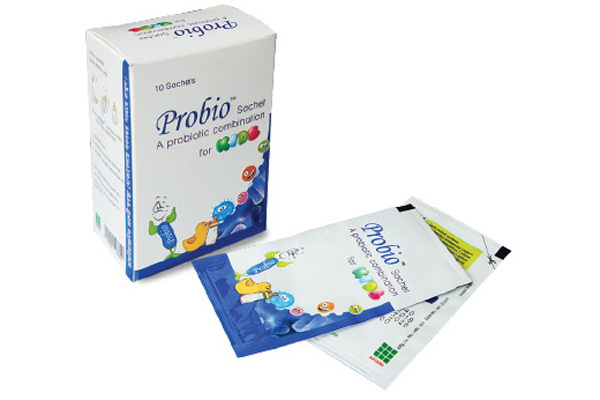 Children (6 months and above): One Probio™ sachet should be taken daily with warm milk/water at once or as directed by the physician. 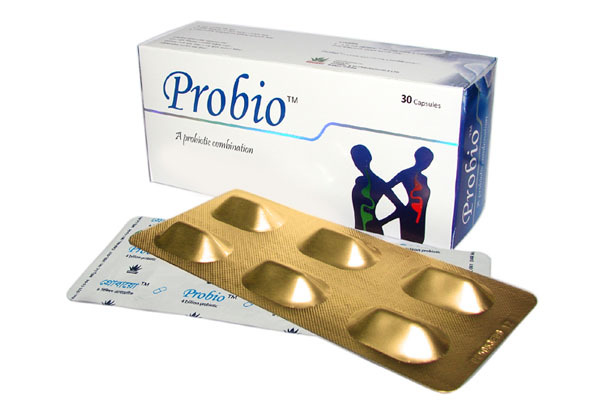 Capsule: 30 capsules in Alu-Alu blister pack. Powder in Sachet: 10 sachets.